Via Collider.com we can report that Machinima’s Combiners Wars Series Will Be Included On The Last Knight Target Exclusive Blu-Ray. 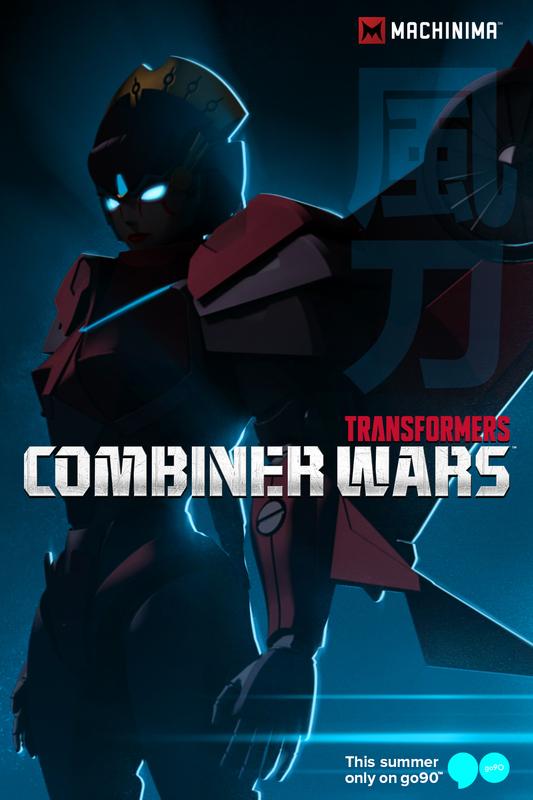 Through a deal with Hasbro, Paramount, and Target, Machinima’s Transformers: Combiner Wars animated series, will be available as an extra feature on the bonus disc for Transformers: The Last Knight Blu-ray combo packs sold at Target, available now. Though originally airing as eight individual episodes at eight minutes apiece, this feature plays them all together. You can read the full article here and then click on the bar to join to the discussion at the 2005 Boards! I would also like VERY much to purchase the rest of Machinma’s Prime War Trilogy (Combiner Wars, Return of the Titans and Power of the Prime) on Blu-ray and would even settle for DVD. Just got my Blu ray disc in the mail early here in australia and it had the combiner wars series on the extras disc. Wow, I'm surprised the discs don't collapse on themselves in a singularity of pure crap. Is totally buy it if it was the Geewun version, though. And, you know, if it was available in Europe. This. I was also near a Target and planning on getting TLK on Blu Ray anyway. Funny thing was that I went to Target 3 days after release to get it and found out they had never put any of the exclusive disc versions out on the shelf and someone had to go to the back to get them. It was like the Target stocker knew how bad the CW series was and in a noble move was protecting people from experiencing it. Beast Wars, briefly. An infinitely better show. Pity. While overall (especially from the half to the end) was certainly 'bad', and I mean *B*A*D* (my opinion), it still had its moments. I wouldn't pay a fortune for it, but as an extra I'd buy it if it came available in Europe (or if I had the chance to ship it here). C'mon people, what other series would show you Starscream as a glowing sparkly floating ball? an opportunity not to be missed… once in a lifetime opportunity! What's better than watching a poorly-made Transformers series? Having to pay to re-watch it at home. You need it because it's so bad. You know, I'm a G1 fan first and foremost, and I have criticized the movies from various perspectives since the beginning, but my god, people on these forums need to take the hate down a notch. Just watch the bonus features and at least put yourself in a position to try and objectively appreciate the extraordinary work that went into TLK. Frankly, I was surprised. As far as Machinima's Prime Wars Trilogy, it seems there is a good chance that the TR installment will significantly improve upon series, and I was actually hoping for a seamless DVD release of CW (certainly wasn't expecting a blu-ray) in order to at least be able to actually own a high quality home release as part of my collection. Personally, I think the best media tie-in for CW is Devastation, in any case. also could have been someone stocking those rental kiosks ~ i've head the smaller (non-redbox) players will go buy big movies on release day because it's cheaper then wholesale. That's a good point. I didn't even know those existed until I saw one in the small town where my mom lives. I can think of exactly one video rental store left in my city, and I know the guy who owns/operates it and it wasn't him. I suppose it could have been a video store owner from out of town. But still, it's hard to imagine any video store wanting that many copies of this movie. I'm still thinking it was someone who wants to throw them on Ebay or Amazon. Or maybe he was simply one of those quiet, true heroes out there; buying them all to destroy and saving the rest of us from any morbid temptation we may have to buy this set for ourselves. also could have been someone stocking those rental kiosks ~ i've heard the smaller (non-redbox) players will go buy big movies on release day because it's often cheaper then wholesale. The Discs are stacked,should be 3 total,was the one you purchased labeled with the target sticker that said bonus disc? Is it the "Hi I'm Windblade" version? I think it's spelled like "HAII'MWINDBLADE!" It seems very random to include an online animated series that has nothing to do with the movieverse with TLK… ah well. Throw the bundle into a nuclear explosion while she pointed and laughed. Do people actually scalp store exclusive bluray/DVDs? I ask because I saw a guy at Target this morning scoop the entire row of exclusive discs into his basket, like 7 or 8 of them. I'd never seen that before, and seeing it for this movie in particular left me a bit gobsmacked. That's all too common in my neck of the woods. He's probably taking them to a local toy show to scalp, and if he can't sell them, he'll probably return them within the allotted 2-week period. What is Wal-Mart going to get? A double-feature DVD with The Room?